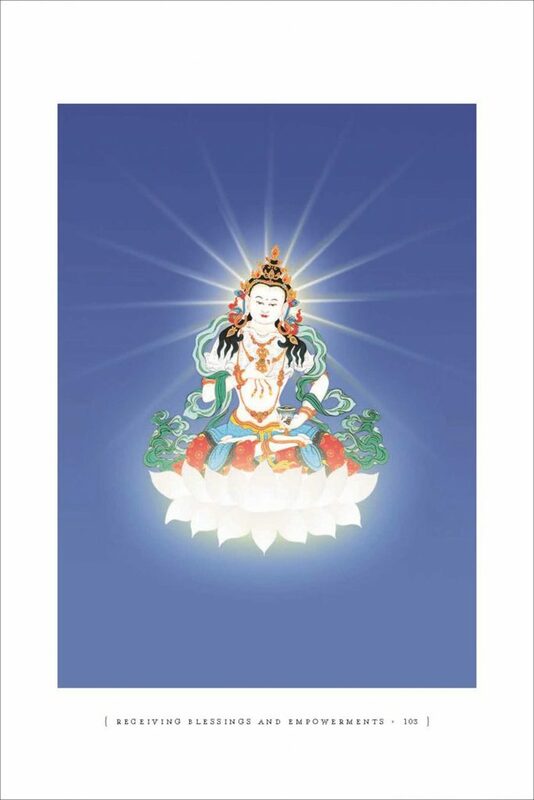 Vajrasattva Mantra Vajrasattva signifies “diamond being” or “vajra-being”. By practicing daily his Dharma, the follower can avoid all evil thoughts, eliminate vexations and have unlimited happiness and wisdom. Vajrasattva practice is also a tantric meditation done for the purification of negative karma. As a Mahayana practice, it is undertaken with a bodhicitta aim to dissolve all our bad karma in order to reach enlightenment as fast as possible in order to be best able to help all sentient beings. Vajrasattva long mantra translates as – ”Oṃ Vajrasattva! Preserve the bond! As Vajrasattva stand before me. Be firm for me. Be greatly pleased for me. Deeply nourish me. Love me passionately. Grant me siddhi in all things, And in all actions make my mind most excellent. Hum! Ha ha ha ha ho! Blessed One! Vajra of all the Tathagatas! Do not abandon me. Be the Vajra-bearer, Being of the Great Bond! Aḥ.